Creating Simple Solutions to Real-World Problems Using Blockchain Technology. 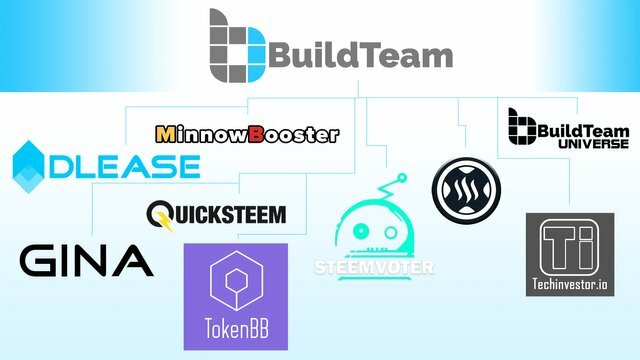 BuildTeam is a revolutionary blockchain technology company focused on creating leading edge sidechain services and custom applications, aimed at enhancing the Steem social network ecosystem as well as other blockchain environments. 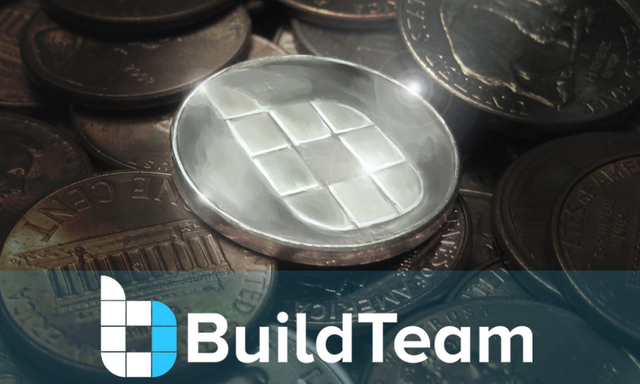 BuildTeam has created its own token to easily facilitate payments to the development team and allow bounty builders and the public secondary market to participate in a discretionary share of BuildTeam's semi-monthly nett revenue distribution rewards. 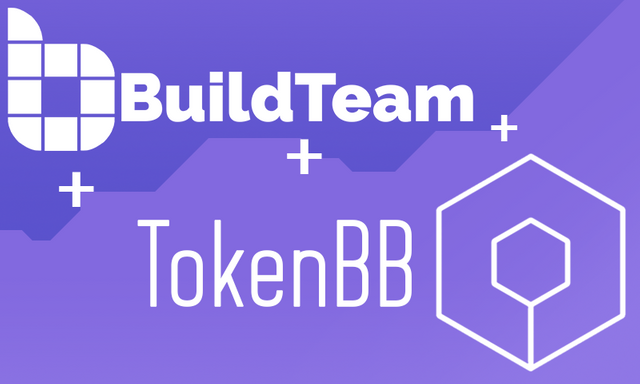 Learn more about BUILDTEAM tokens and how to buy them. A professional grade Digital Asset Leasing platform and first of its kind token leasing app to earn delegators passive daily returns while retaining 100% ownership and control of the underlying leased asset. DLease has facilitated over 19 Million STEEM POWER in leases since its early release as the MinnowBooster Delegation Leasing Market in 2017. User-friendly, blockchain powered forums, creating incentivised community engagement opportunities through upvote rewards that have an attached crypto monetary value. TokenBB.io is set to revolutionise the Bulletin Board space with forum owner and topic creator revenue share to help keep participants invested and active. The “Swiss Army Knife” for the Steem blockchain! MinnowBooster features multiple tools such as an upvote bot for content promotion and passive income earning, mention tracking, Steem Monsters discounted card selling and trading assistant as well as a delegation market for STEEM POWER leasing. 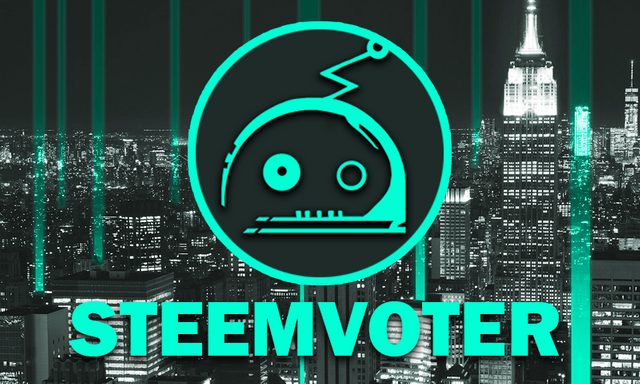 An automated Steem blockchain voting bot with no coding required. Control who the service votes on, when to vote and how much voting power is used. Using Steemvoter, users can automatically upvote their favourite authors, ensuring they always get rewarded while maximising the curation rewards of the voter. QuickSteem.com is an easy to use app for creating pre-funded Steem accounts using cryptocurrencies like BTC, ETH, LTC and several others as purchase methods. GINA - General Instant Notification Alert bot for the Steem blockchain. GINA pushes alerts based on user-defined blockchain activity via direct messages in the popular Discord chat app. While GINA is on the case you will never miss a beat on the Steem social network. A news content aggregator that collates content from online blockchain sources and selected Steem blogs to provide a convenient source for keeping up-to-date with important happenings in the blockchain world. Techinvestor.io is a perfect platform on which to advertise your existing or startup fintech project. Steemsports is a revolutionary new sports news publishing service. Not just a simple platform where fans can read about their favourite sports, SteemSports also provides a social community for sports enthusiasts and rewards participation through its monetization and utilization of the Steem blockchain. BTUniverse is a crypto news blog on the Steem platform, which covers blockchain and bitcoin news, guides and tutorials in an easy to engage blog format, powered by Steem rewards! BTUniverse feeds into techinvestor.io via RSS for additional exposure of its content. Sign Up for Our Telegram Channel and Stay Up To Date! Paytomat Wallet is a convenient multi-coin tool allowing users to store and manage Digital Assets in one secure app. Paytomat offer full Point-of-Sale merchant integration and supports mQR (Merchart QR) natively from the Merchant App (available on App Store and Play Market). BuildTeam recently arranged for STEEM to be listed as a merchant payment option on Paytomat. The Paycent app is a hybrid mobile wallet which lets users spend their digital assets globally in real-time using the Paycent Card; which can also be used to withdraw cash in local currency at ATMs and at offline merchants in over 200 countries at over 36 Million points. Insights features updates, insider perspectives and in-depth market analysis. 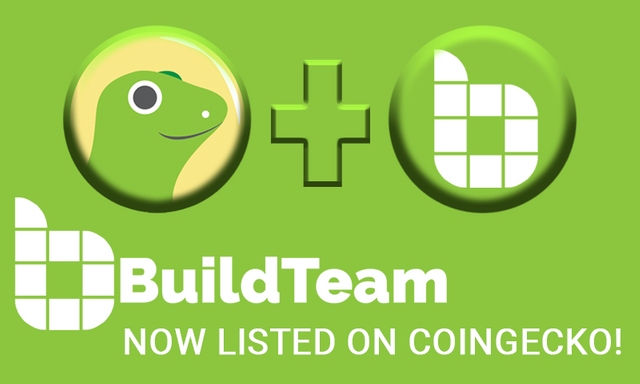 BUILDTEAM Token Now Listed on CoinGecko.com! CoinGecko.com has recently integrated the Bitshares Cryptofresh.com block explorer; this has enabled CoinGecko to list the BUILDTEAM Token (currently a native Bitshares Asset) with their index. DLease.io - A Digital Asset Leasing Platform for the Masses! 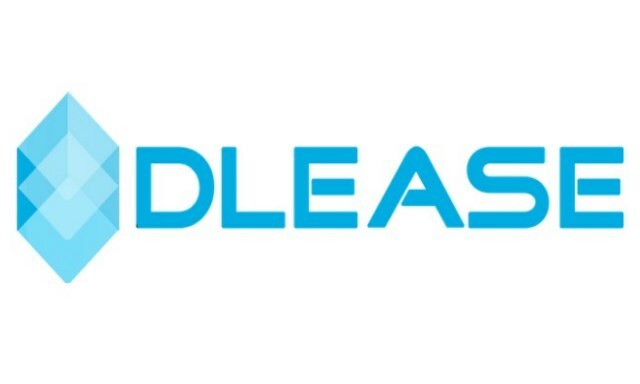 BuildTeam is proud to announce the official launch of its flagship Digital Asset Leasing service, DLease.io, which is now online! A broad overview of some of the milestones BuildTeam wishes to achieve in 2019. TokenBB is a remotely hosted freemium, blockchain powered message board (forum) service that helps people create their own online communities. BUILDTEAM is classified as a Limited Float/Circulation token due to the low monthly emission rate and the fact that 25% of all emissions to Builders are on mandatory autostake. BuildTeam reveals a brand new, completely revamped Steemvoter to the public for beta testing. 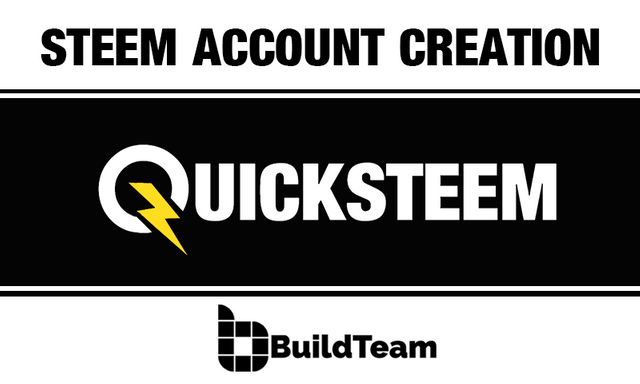 BuildTeam launches QuickSteem, an easy to use app for creating pre-funded STEEM accounts using cryptocurrencies like BTC, ETH, LTC and several others as payment. BUILDTEAM stakeholders receive STEEM revenue, distributed on a proportional basis depending on how much each participant has staked. The New Look of GINA! The GINAbot automated Steem notifications assistant gets a futuristic new look. "Thanks for sharing all the news, about sportsmen and athlete's interviews ... With a channel so unique and so active...Thank you for keeping steemit so attractive"
"The compensation model is really great. Let's hope, that in future many more companies apply similar ways to pay their employees. I think it is the best way to build an appropriate, motivated and efficient team." "You have been doing a great job supporting the people in the community. You took your time to improve this community by providing such wonderful services, thank you very much for making these services. Your team and support means a lot for me in my Steemit Journey"
Visit the BuildTeam App Store today! Copyright 2019 BuildTeam. All Rights Reserved.